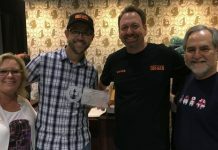 Popular Mechanics talks about the thefts from Steve Sansweet at Rancho Obi-Wan and Philip Wise. 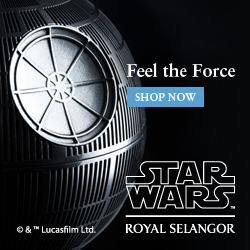 Brand new merchandise from our great friends at ROW. 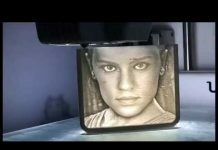 Now this will be a booth that you simply MUST see at Celebration. 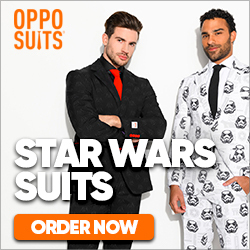 Just eight of the benefits to becoming a member and supporting Rancho Obi-Wan. 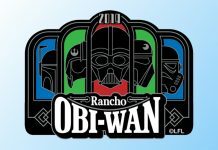 Clayton Sandell from ABC News visits Rancho Obi-Wan, and chats to Steve Sansweet. 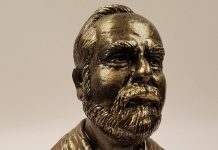 Check out this awesome bust of Rancho Obi-Wan's Steve Sansweet, created by Emeryck whilst in the audience of the Unboxing Toy Convention in Mexico at the start of the August. 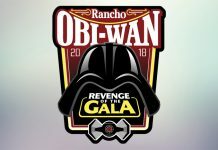 Details of the 7th annual gala at Rancho Obi-Wan has been announced for 2018! 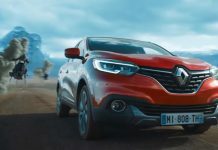 Renault partner with Lucasfilm for Solo: A Star Wars Story, a chance to win a trip to Rancho Obi-Wan, a new advert and more! 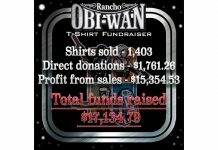 Rancho Obi-Wan announced the total raised from the T-Shirt fundraiser organised with 501st Legion, Rebel Legion, Mandalorian Mercs & R2 Builders Club. 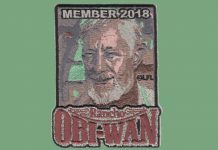 Make 2017 count, join Rancho Obi-Wan now to get your exclusive membership kit and make a tax deductible donation. 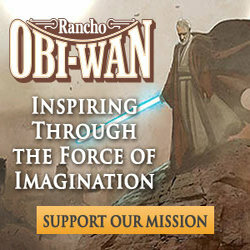 Only 9 hours left to buy the t-shirt that supports Rancho Obi-Wan! 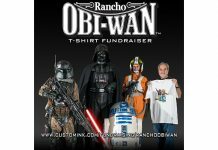 Reminder: Rancho Obi-Wan T-Shirt Fundraiser Ends Nov 28th! 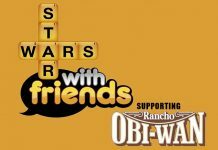 501st Legion, Rebel Legion, Mandalorian Mercs, and R2 Builders join together to support Rancho Obi-Wan - they need YOUR help too! 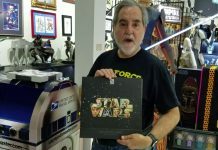 Steve Sansweet, of Rancho Obi-Wan, reviews the different items the Royal Mail released to celebrate the 40th Anniversary of Star Wars. 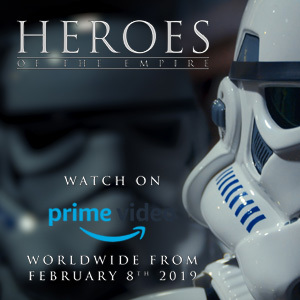 We go behind the scenes at Wow! 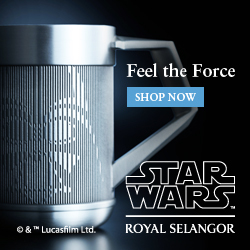 Stuff head office catch up with co-founder Dr Graeme Taylor & creative director Dr Dr Jim Wyatt to talk about their new Star Wars Holopane products. 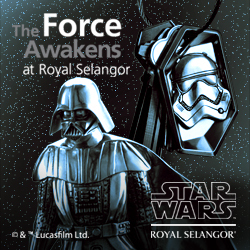 A Lucasfilm favourite has been inducted into the Rebel Legion. 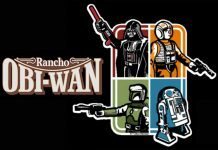 An update on the theft from Rancho Obi-Wan. 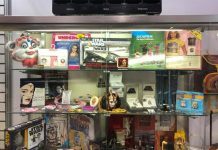 The worlds most extensive Star Wars collection has been hit by a massive theft. 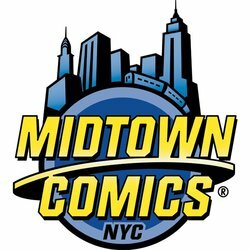 Some sad, unfortunate and hard news from Steve regarding several thefts from Rancho Obi-Wan. Please read and see if you can offer any info/help.